During our Fall family visit to the White Mountains in New Hampshire, we stayed just south of Lincoln in the town of Ashland. It was about a 25 minute drive to get to Lincoln most days, though the scenic drive on I-93 certainly wasn’t a bother to us. 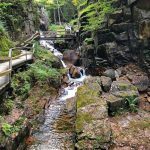 However, if you’d rather stay a little closer to many of the White Mountains attractions, here are some suggestions for Lincoln NH hotels and accommodations. We’ve tried to include something for everyone. Whether you’re looking for lavish luxury, budget lodging, or self-catering accommodations, we’ve got you covered! 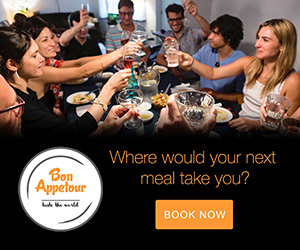 Click on the hotel name link to see more pictures, read reviews, check current amenities, compare prices, and book your stay. 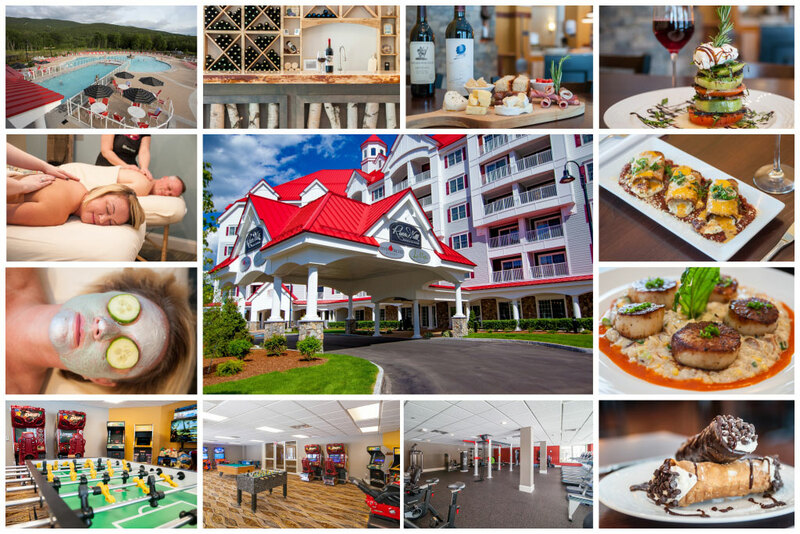 The Riverwalk Resort offers the finest in luxury Lincoln NH lodging! 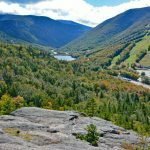 It’s located in the heart of Lincoln on the banks of the Pemigewasset River at the base of Loon Mountain. Complete with a gym and day spa, game room, dining options, a winery, heated pool, jacuzzis, and a lagoon pool that converts into an ice skating rink in the winter… you just might never want to leave the resort! Choose from a studio suite, one- or two-bedroom suite, executive, presidential, or penthouse suite. All suites are designed with large living and dining room areas so families can spread out and relax. In addition, Riverwalk Resort is one of a few pet friendly Lincoln NH hotels. So, your furry four-legged friend (dog) is welcome to join you on your White Mountains getaway. 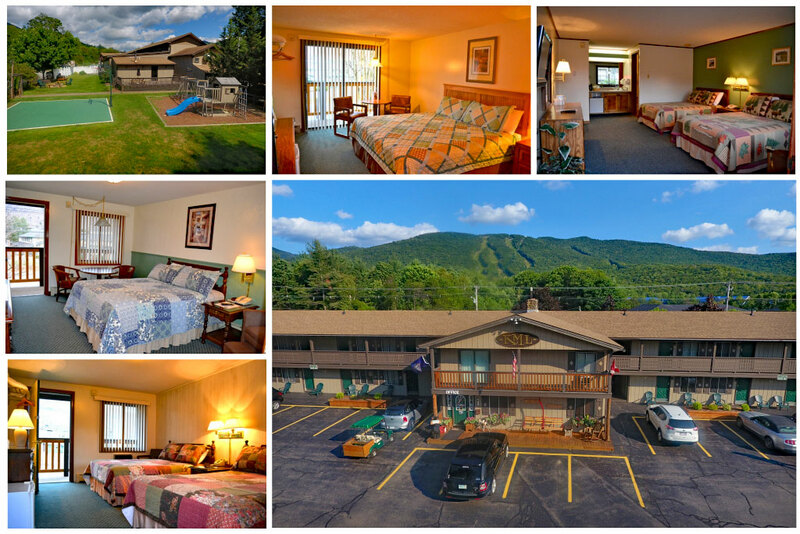 Mountain Club on Loon is another fine option for lodging at the base of Loon Mountain. 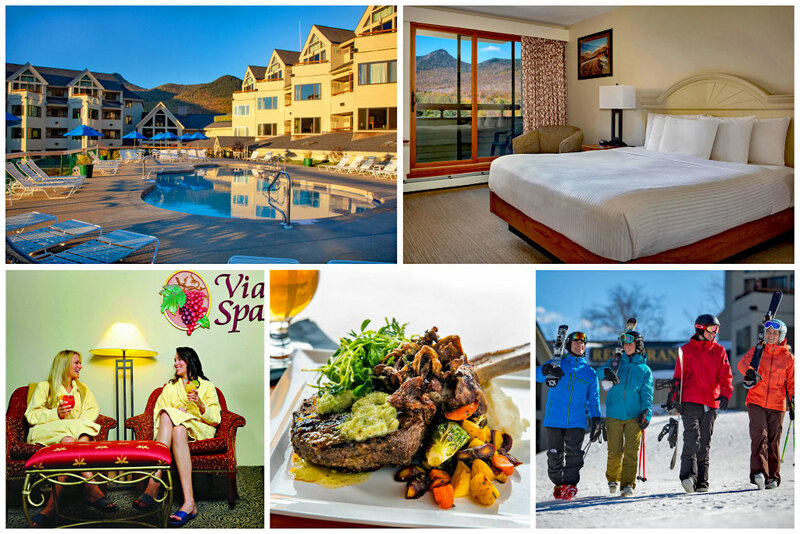 The Mountain Club offers a variety of of amenities including a luxurious spa and health club, two dining options, and refreshing indoor and outdoor pools and hot tub. Guests can park for free in their covered parking garage and access free WiFi throughout the resort. 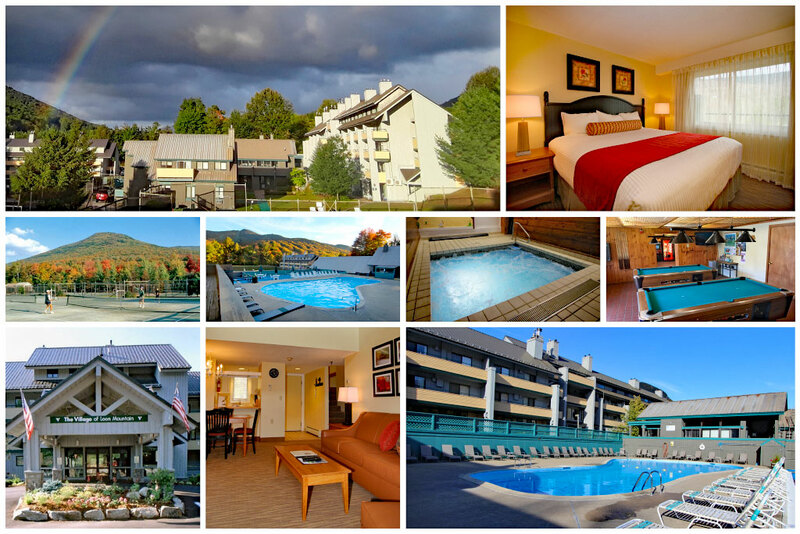 Enjoy condominium-style units at Village of Loon Mountain, perfect for your traveling family. 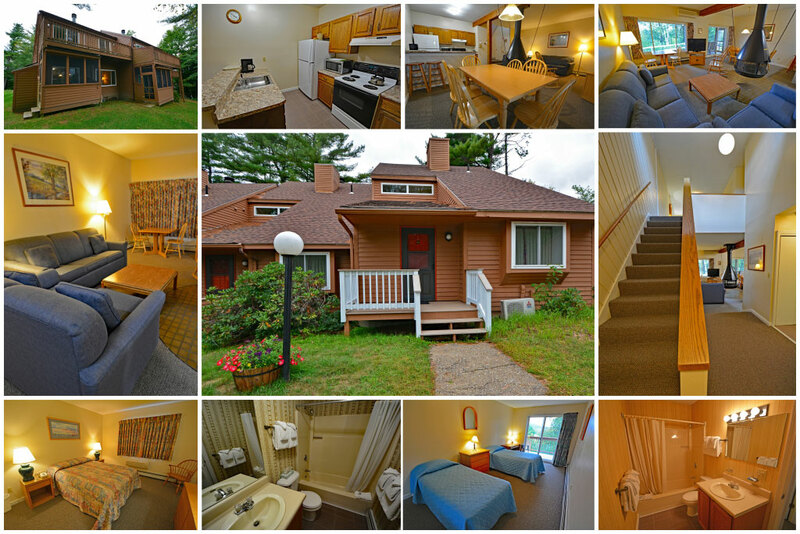 Each unit is equipped with a full kitchen, balcony, gas fireplace, and complimentary WiFi. 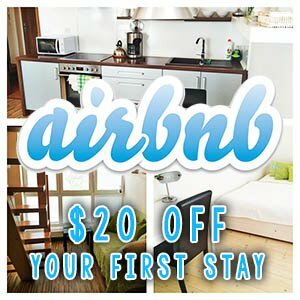 Take advantage of their indoor and outdoor pools, several hot tubs, sauna, fitness center, tennis courts (summer only), and ice skating rink in the winter. Also, during the winter enjoy a complimentary ski shuttle that drops you off right in front of the slopes. Village of Loon Mountain is a great family resort destination offering children’s activities throughout the year. InnSeason Resorts Pollard Brook offers 133 suites, all complete with full kitchen, luxurious whirlpool tub, and either a patio or balcony. Enjoy free parking and complimentary WiFi during your stay. Choose from a 1, 2, or 3 bedroom unit, depending on your family size. Amenities include indoor and outdoor pools, spa/hot tub, sauna, playground, basketball, volleyball & tennis courts, gym, game room, and laundry facilities. During the winter months, InnSeason Resorts Pollard Brook offers complimentary shuttle service to the ski slopes at Loon Mountain. 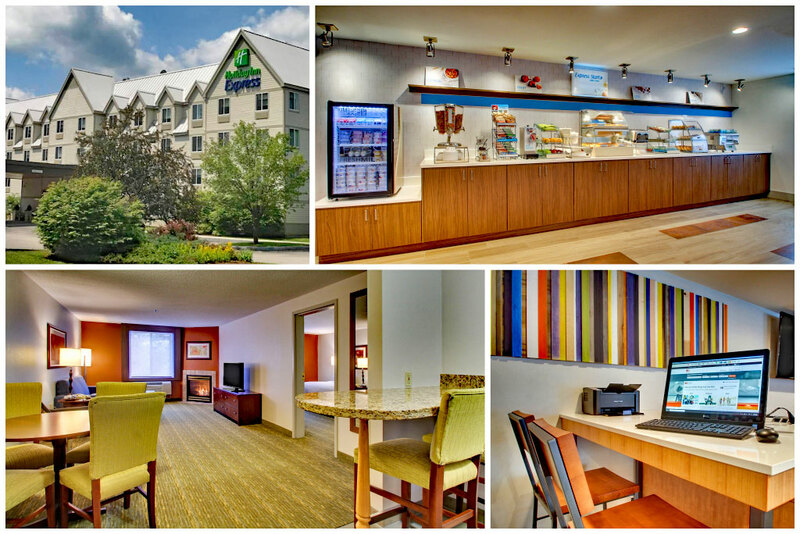 The Holiday Inn Express & Suites Lincoln East offers many great amenities at an affordable price! Take a dip in the indoor heated pool and jacuzzi. Workout whenever you please in the 24-hour fitness center and enjoy round-the-clock coffee service. WiFi is complimentary throughout the hotel. Each of the recently renovated rooms and suites come with a refrigerator, microwave, Keurig coffee maker, and hairdryer. Start your day of exploring the White Mountains with a hot complimentary breakfast of eggs, meats, cinnamon rolls, and pancakes. 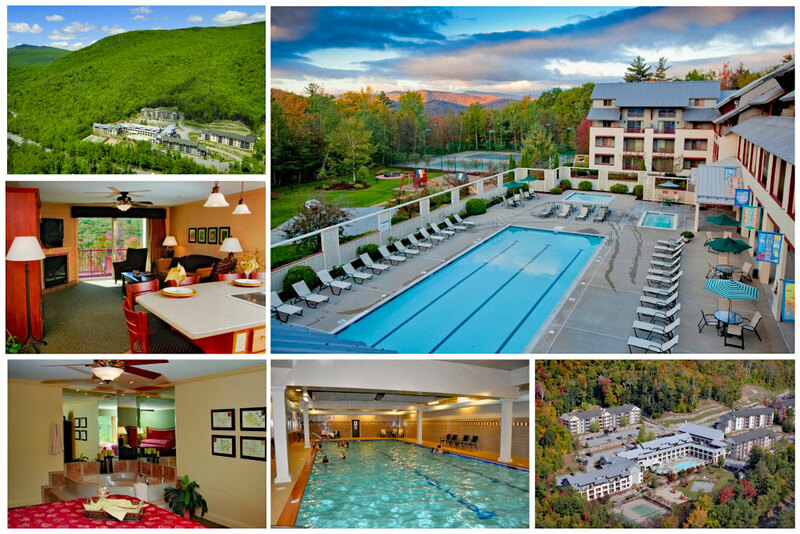 The family-owned Kancamagus Lodge, just a mile from Loon Mountain, offers big hotel amenities with small motel prices! Choose from a standard, balcony double, balcony queen, balcony king, deluxe, or family room. Enjoy year-round fun in their indoor pool and game room and dine in their on-site restaurant. 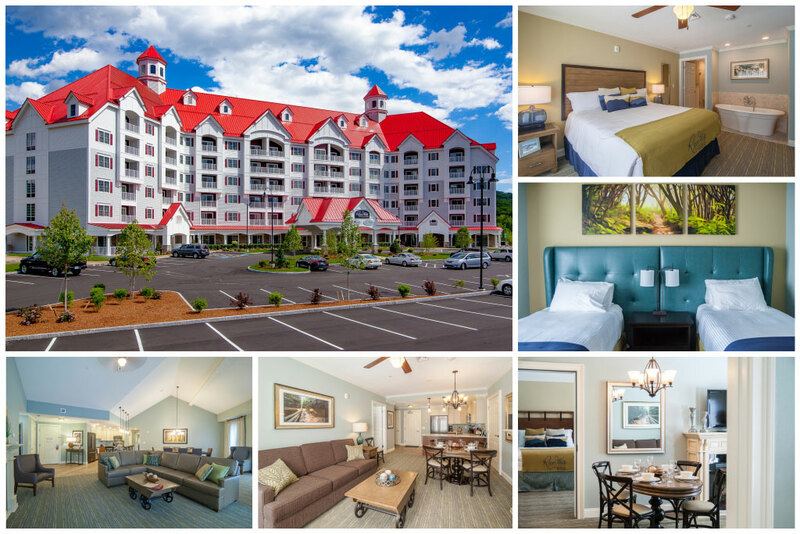 The location of the Kancamagus Lodge is perfect for walking to many of Lincoln’s best restaurants and most popular attractions. For a cozy and rustic experience in Lincoln, book a stay at Pemi Cabins on the River. Several of these 1 & 2 bedroom cabins have screened porches overloooking the Pemigewasset River. Some cabins are equipped with a kitchen and many come with a cozy fireplace. 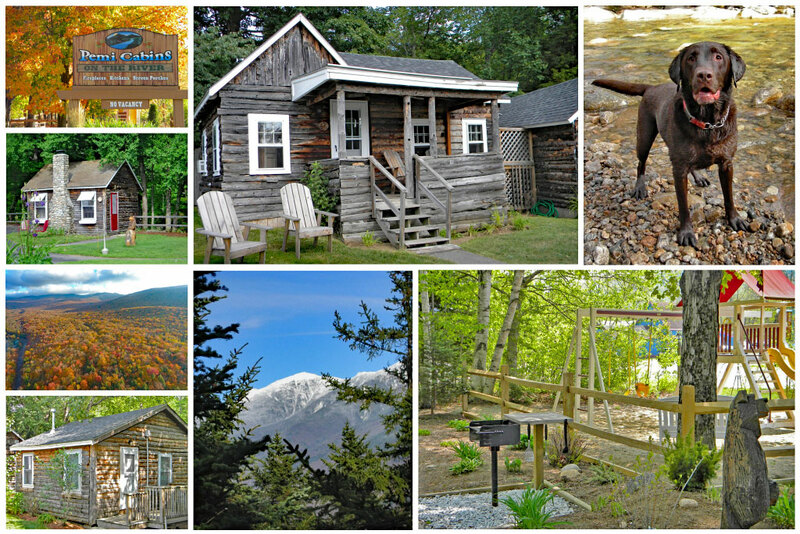 Pemi Cabins are open year-round and your furry four-legged friends (dogs) are welcome. Enjoy complimentary coffee and WiFi at these cozy Lincoln NH cabins. Green Village Cabins have nine double occupancy cabins and one quad occupancy cabin. The cabins range from single room cabins with a fridge and microwave to 1-bedroom cabins with a living room and fully equipped kitchen. In addition, most cabins have a fireplace and an enclosed porch that overlooks the Pemigewasset River. It’s the perfect place to enjoy the outdoors, as each cabin comes equipped with a charcoal grill, picnic table, and lawn chairs. 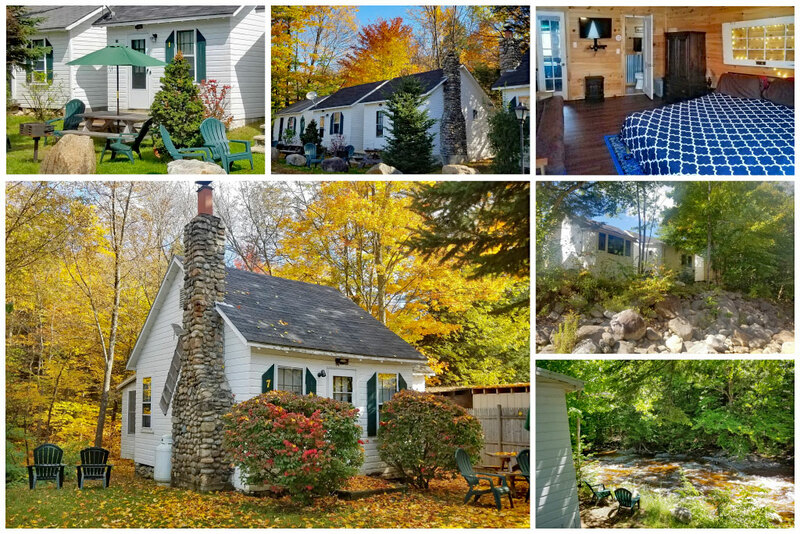 These cabins in Lincoln NH are a great way to connect with nature and truly experience the beauty of the White Mountains. As mentioned, we stayed a little south of Lincoln for our visit to the White Mountains. We did a timeshare exchange and booked a week at Cold Spring Resort in Ashland. The unit was the perfect size for our multi-generational family trip. It came with a full kitchen, dining room, and living room with a unique suspended fire place. The upper level balcony and screened-in porch just off the living room were wonderfully inviting for enjoying the crisp fall air. 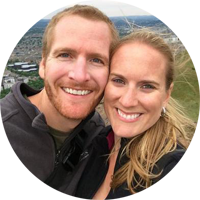 In conclusion, there are many great options for places to stay in the White Mountains NH. No matter where you end up booking, your trip will be filled with wonderful memories and beautiful surrounding scenery. 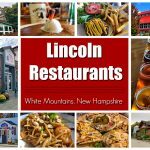 Want even more recommendations on Lincoln NH hotels? Check out these reviews and compare prices! 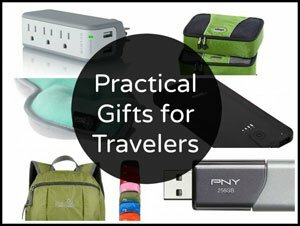 Please note, this post contains affiliate links. If you follow any one of the links and book a hotel, we may receive a small commission.